First published at Viewpoint Magazine. Will the ongoing revival of American socialism stimulate interest in one of its lesser known antecedents? Verso Books certainly hopes so. That’s why they’ve reissued Max Elbaum’s Revolution in the Air, originally published in 2002, now with a new foreword by Alicia Garza, co-founder of #BlackLivesMatter. The book chronicles the history of the US “new communist movement” (NCM) from the late 1960s through the 1980s, when thousands of young activists, radicalized by the Vietnam War, the Chinese Cultural Revolution, and liberation movements in communities of color at home and abroad, embraced Marxism-Leninism and committed themselves to changing the world. When Revolution in the Air was written, George W. Bush was President and 9/11 and the “war on terror” were still in the future. The American left was in disarray and on the defensive. Behind it were a long series of defeats — the neoliberal transformations inaugurated by Reagan and Thatcher, the collapse of the Soviet Union and its allied regimes, China and Vietnam’s increasing adoption of capitalist forms of economic development, the retreat of liberation movements across the Third World. Nearly two decades later, the international balance of forces still favors the right, but the prospects of the US left appear to have significantly improved. Bernie Sanders’ electoral campaign saw millions of Americans voting for a candidate who openly called himself a socialist. Thousands of young people have swelled the ranks of DSA. Workers are organizing and striking. Class struggle is back on the agenda. Elbaum wrote Revolution in the Air in 2001 to reclaim the lessons of the new communist movement for contemporary militants who, like their early sixties’ predecessors, became activists when the radical left was fragmented and weak. How relevant is this history and the lessons he draws for us now, in this new period of left upsurge? The greatest strength of Revolution in the Air is its compelling chronological narrative of the origins, rise, and proliferation of various NCM groups and their subsequent crises and decline. Elbaum carefully tracks the arc of NCM history from the initial burst of energy that birthed the first organizations, to the stillborn unity initiatives of the early 1970s, to the growing difficulties and splits of the mid- and late-1970s, to the decline/collapse of many groups and the movement as a whole in the 1980s. But Elbaum is alert to the movement’s weaknesses as well — its ultra-leftism, dogmatism and sectarianism — and its fragility. The NCM was continuously buffeted by centripetal and centrifugal tendencies. Organizations sought to come together in unifying party-building initiatives and were driven apart by numerous political and ideological differences, with many smaller groups resisting the pull of both dynamics. Of necessity in a book of this length, the focus is on the major NCM formations and their initiatives. However, something of the genuine breadth and diversity of the movement as a whole is lost in the absence of more attention to the less well known, out-of-the-way groups. The NCM preached the importance of building multi-national organizations. Yet for much of its history, groups of white communists and communists of color evolved on separate but parallel tracks — the first primarily emerging out of student, anti-war and anti-draft movements; the second out of liberation movements in the Black, Chicano, Puerto Rican, and Asian American communities. The very different origins of the movement’s two components had profound repercussions for their long-term prospects. For all groups, the challenge was to create and maintain stable and growing organizations while implanting themselves in the working class and/or local communities. Often these tasks were summed up in the slogans “unite Marxist-Leninists; win the advanced to communism.” Both tasks proved to be extremely difficult, in no small part due to the ways militants undertook to implement them. Every serious group, no matter how small, considered itself a new communist party in embryo (or at least a part thereof). Hence the need to formulate positions on all important issues. But the more issues a group had a position on, the more opportunities existed for differences and disagreements to arise over them — internally, in relation to other groups, and in relation to the “advanced” they were trying to recruit. Elbaum puts much of the blame for the resulting disputatiousness on the NCM’s Maoism but this is a problem that has plagued every branch of the communist movement, as anyone familiar with the fissiparous history of Trotskyism can attest. The early NCM groups strongly identified with the Chinese revolution and the Chinese Communist Party (CPC), just as the first communist parties at the dawn of the twentieth century had strongly identified with the Bolshevik revolution and the new Soviet state — and for the same reasons. The Chinese line seemed to offer the best chance of defeating imperialism and promoting world revolution, and China’s prestige and attractiveness to revolutionaries worldwide was expected to rub off on its American supporters. Had the NCM seriously studied the lessons of the first communist parties’ unwavering adherence to Soviet policy they might have avoided the pitfalls of this model. In the early 1930s, particularly in the depths of the Great Depression, capitalism seemed to be faltering while the USSR’s economy was taking off. The Soviet example drew many Americans to communism (“I have seen the future and it works” – Lincoln Steffens) and to the Communist Party of the United States (CPUSA). Likewise, the Soviet Union’s militant anti-fascist policies attracted opponents of developments in Italy and Germany who might otherwise have shown little interest in the communist experiment. But as the 1930s wore on, Soviet prestige began to wane under the impact of internal purges and great power politics. The low point was reached in the 1939 with the Soviet-German non-aggression pact and the concomitant demand that the Communist International abandon its anti-fascist priorities. A close association with the Soviet Union now turned from an asset into a liability. Soviet prestige was briefly restored during the war years, but, with the onset of the Cold War, the CPUSA’s ties to the USSR became an enormous millstone around the Party’s neck, one that almost finished it off when Khrushchev’s 1956 secret speech on the Stalin period became public. But all too soon, things began to change. In 1974, when China first put forward its “Theory of Three Worlds,” few recognized the implications for Chinese foreign policy or the impact it would have on the NCM. Step one was elevating the USSR to a “social-imperialist superpower” on the same level as US Imperialism. From there it was only another small step to characterizing the USSR as the “more dangerous” of the two superpowers, the one against whom the main fire of revolutionaries had to be concentrated. The consequences of these formulations were profound. China, whose prestige had been tied to its anti-imperialist, revolutionary stance, was now backing reactionary regimes and movements around the world if they took up anti-Soviet positions and moving toward a de facto alliance with the United States. These policy changes, together with the fall of the “Gang of Four” after Mao’s death and the CPC’s subsequent repudiation of the Cultural Revolution, tarnished China’s revolutionary credentials internationally and sparked an increasingly acrimonious debate, not only within the broader American left milieu, but within the ranks of the NCM itself. At issue was the extent to which the movement could continue to describe itself as Maoist or maintain its allegiance to CPC positions. What began as debate soon became a crisis, manifesting itself in different ways in different organizations. One of the largest groups — the Revolutionary Communist Party (RCP) — underwent a debilitating split. Other groups, forsaking the CPC, looked for an alternative leading center for the world communist movement. When China and Albania had a falling out, some found it in Tirana. Still others, identified as “anti-dogmatist/anti-revisionists,” seized on the crisis to challenge the NCM to rethink its basic allegiances and its theoretical foundations. Line of March, Elbaum’s own former group, progressively abandoned its anti-revisionist identity and moved toward openly pro-Soviet positions. Other organizations, like the Communist Party (Marxist-Leninist) (CPML), remained loyal to China and tried to carry on as if no crisis existed. Had this crisis erupted at a time when NCM groups were otherwise enjoying successes in recruitment and base building its impact might have been less severe. However, in this realm, too, many organizations were beginning to experience a crisis of a different character. This one was generated by the cumulative effects of their own organizational weaknesses and isolation. Disillusionment with a lack of progress was setting in, memberships were falling, and confidence in old certainties was beginning to wane. These twin crises hit the predominantly white NCM organizations harder than those groups composed primarily of people of color. As noted earlier, white communists in the main came out of the student, anti-war, and anti-draft struggles. These were all conjunctural struggles, born of a particular moment in history and largely disappearing once that moment had passed. By the late 1970s the two main predominantly white groups — the CPML and the RCP — were feeling the combined effects of the melting away of the mass base from which they had emerged and their lack of real successes in building a new one in the working class. The CPML, which, of all the Maoist groups, had secured the “China franchise” from CPC leaders, was most affected by the crises. 5 In 1980 it entered a terminal decline and expired the following year. The RCP, already much weakened as a result of the 1977 split, pinned its hopes on championing Mao’s legacy and defending the Gang of Four against the post-Mao Chinese leadership. But, forsaking the working class for youth and lumpen elements, its practice quickly degenerated into a series of ultra-left campaigns and media-events. Membership declined, and a growing focus on the writings of Chairman Bob Avakian pointed toward the leader-cult groupuscule the RCP would soon become. By contrast, the dominant NCM organization of people of color — the League of Revolutionary Struggle (LRS) — survived for another full decade (until 1990) and seemed to avoid the twin crises. 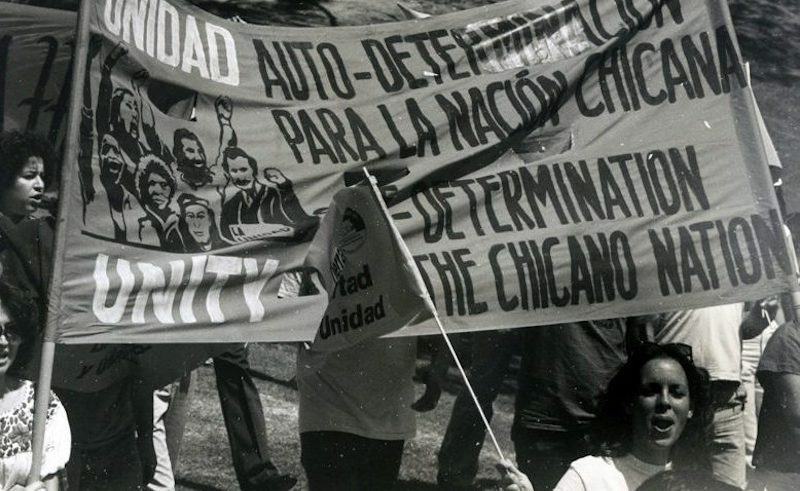 LRS was created out of the merger of groups whose leaders and members had been active in African American, Chicano, and Asian American liberation movements. These included I Wor Kuen (IWK), the August 29th Movement (ATM), the Revolutionary Communist League (M-L-M) (RCL) (formerly the Congress of Afrikan People), and several smaller organizations. There were a number of reasons for the LRS’s success. Unlike the predominantly white communist organizations that came out of conjunctural struggles, these groups arose from struggles generated by a fundamental structural dynamic of US capitalism — the continuing exploitation and oppression of national and ethnic communities within the United States. While the conjunctural struggles passed with the passing of the 60s era, the struggles which birthed communists of color and their organizations, while ebbing and flowing, were constantly being renewed by the operations of the system itself. Abuses and injustices followed one upon another, generating new sites of resistance — fertile ground for base building and recruiting additional militants. Moreover, many communist activists of color successfully negotiated their transition into the NCM without losing their ties to the communities and movements from which they emerged. This was true of activists like General Baker and his comrades in the Detroit auto plants who transitioned from the League of Revolutionary Black Workers to the Communist League. It was also true of many of the militants in the LRS’s predecessor organizations. Respected activists in the Chinese communities in San Francisco, New York and Boston joined IWK; leading Chicano militants founded ATM; Amiri Baraka of RCL was a nationally respected leader in the Black Liberation Movement. Coming together in LRS, these individuals and groups maintained and built on the extensive community networks and personal relationships they had forged before becoming a part of the NCM. Pointing out the affinities between this perspective and Bundism is not to suggest that LRS leaders were meeting in secret, poring over old Bundist documents, much less that they thought they were deviating from Marxism-Leninism. Their perspective evolved organically out of the concrete circumstances of their mass work. As their practice in radicalized strata of national and national minority communities — where nationalist ideologies were widespread and strongly held — evolved, these leaders responded, strategically and tactically, to the demands, desires, and dreams of the people with whom they were interacting. They affirmed allegiance to Marxism-Leninism, but the pull of nationalist ideology was strong. The problem with this dynamic became clear in the 1980s when the politics of these nationalists shifted to the right and pulled the LRS rightward as well. The NCM groups’ commitment to an anti-racist, multi-sectoral agenda, discipline, organizing skills, and expertise in agitation and propaganda were valuable contributions to the Rainbow Coalition. And the Coalition’s willingness to accept and even welcome their involvement offered them an entré into mass mobilizations not seen since the early 1970s. The hope was that the Rainbow Coalition would ultimately disengage itself from the Democratic Party and evolve into a powerful independent political force in its own right, one which could be moved in an increasingly more radical direction by participating communists. However, NCM groups underestimated two critical factors that ultimately would doom the Rainbow Coalition experiment. First, despite all its non-electoral organizing and mobilizing components — from social justice oriented trade union efforts which crossed industrial and rural divides, evolving links with the peace, anti-imperialist, and environmental movements on issues of military intervention, nuclear weapons, and energy sources, as well as a continued emphasis on “multinational” alliances between oppressed groups — the Rainbow Coalition was primarily an electoral vehicle, tied to the election cycle, delegate selection processes, vote-getting and Democratic Party politics. 16 In the end, the former components were subordinate to and dependent upon the latter and failed to take on a life of their own. Second, in spite of all efforts to make it a bottom-up, democratic movement, the Rainbow Coalition was dominated and controlled by Jesse Jackson and his key acolytes. When, in the aftermath of the 1988 election, Jackson cut a deal with the Democratic Party establishment and decided to wind the whole thing up, the Rainbow left was powerless to stop him. Perhaps this outcome was inevitable and nothing revolutionaries could have done would have changed it. But the failure of NCM groups to adequately theorize the Rainbow Coalition phenomenon, to grasp its limitations and strategically prepare to address them, reduced their effectiveness and didn’t prepare them for an outcome that left them rudderless. 17 In the current period, with left-wing electoral campaigns proliferating and drawing in increasing number of activists, there is a warning here for contemporary militants. If Revolution in the Air’s strength lies in its compelling narrative of the rise and fall of the NCM, its weaknesses are to be found in the historical/theoretical context in which this narrative is embedded. Here I want to touch on four issues: the notion of “Third World Marxism"; the significance of the Sino-Soviet split in the early 1960s; the question of whether the NCM was founded on false premises; and the question: is there a Marxist tradition worth defending? So why the insistence on this notion of “Third World Marxism” as a critical framing device in Revolution in the Air? One is forced to conclude that it’s because its presence functions to supersede the most obvious alternative frames. Those alternatives are the ones that the NCM itself most frequently used to describe its chief ideological influences, the ones associated with the Chinese Communist Party, namely, “anti-revisionism,” and Marxism-Leninism Mao Zedong Thought (or more simply, “Maoism”). Elbaum’s intellectual honesty prevents him from erasing these alternatives entirely. More than once he admits that the NCM came into being with groups “intent upon constructing a specifically Maoist trend and making Maoism the cornerstone of a new communist party." 21 But Revolution in the Air nonetheless downplays the ideological centrality of Maoism and anti-revisionism through its repeated use of the “Third World Marxism” formulation. One more point related to this issue. The inclusion of Che Guevara in the book’s subtitle: “Sixties Radicals Turn to Lenin, Mao and Che” is particularly inapposite when talking about the new communist movement. “Che mania” was a phenomenon of the broad New Left which helped give birth to the NCM, not the NCM itself. In moving away from the New Left and toward the NCM activists were turning away from Che, not toward him. If this line of argument has a familiar ring to it, it should. After World War I, Social Democracy said exactly the same thing about the split in the international working class movement resulting from the creation of the Communist International and the first communist parties. 23 Dividing the movement in this way, they charged, was a disaster that could only benefit the capitalists and imperialists. Of course, there is a kernel of truth in what the Social Democrats — and Elbaum — said. A kernel, but not the whole truth. The emergence of the world communist movement out of the crisis of Social Democracy did produce numerous divisions and weaken many proletarian organizations. Was the process an ideal one? Of course not. Were ultra-left errors made by many new communist parties that impeded united working class action and helped the bourgeoisie re-stabilize capitalism in the immediate post-World War I years? Clearly, there were. Lenin was so concerned about the problem that he wrote an entire book to address it: “Left-Wing” Communism: An Infantile Disorder. The split in the workers’ movement did weaken it, did make it easier for capitalism to recover. And the continued divisions between Communists and Social Democrats and their inability to work together did make it easier for Nazism to come to power in Germany in 1933. Yes, a tragedy. Yes, a disaster. All this is undeniable. But does it mean that the creation of the communist movement was a mistake; that, for the sake of unity, communists should have remained inside the Social Democratic parties and within the theoretical-political limits of Social Democracy? Those of us who identify with the tradition of international communism would unhesitatingly answer in the negative. By its betrayal of the working classes in supporting World War I, by its betrayal of the colonial peoples through its failure to fight imperialism, by its rejection of revolution in the mass upsurge of the “Red Years” 1919-1921, Social Democracy proved itself incapable of carrying forward Marxism’s revolutionary dynamic. The emergence of the world communist movement out of the crisis of Social Democracy was an historical necessity. The question is: can the same be said of the birth of the NCM in the US and similar movements in other countries in the 1960s? In order to answer this question we need to recall the state of the world communist movement on the eve of the Sino-Soviet split. Over time, these “theoretical” formulae of Soviet Marxism became less and less useful in explaining the significant changes unfolding in both capitalist and socialist social formations. They also became less and less useful in guiding the practice of communists and other revolutionaries around the world. The crisis of Marxism was increasingly becoming a crisis of the international communist movement. Moreover, Soviet policy operated on the premise that the primary guarantor of the future of socialism lay with the safety and security of the USSR rather than with potentially dangerous confrontations between the capitalist and socialist worlds or revolutionary struggles in Africa, Asia, and Latin America. For Khrushchev and the Soviet leadership revolts, rebellions, and mass protests represented crises to be “defused” not insurgencies to be welcomed. An initial, inadequate acknowledgement of the crisis in the communist movement was offered in 1956, with the 20th Congress of the Communist Party of the Soviet Union (CPSU) and Khrushchev’s secret speech on Stalin and the Stalin period. But Khrushchev and the CPSU were unable to identify the real sources of the crisis, let alone produce an adequate theoretical response to it. Instead, they provided a superficial analysis of the Stalin years from the right, based not on Marxist concepts, but on bourgeois ideological notions, most famously, “the cult of the personality.” Here, too, an attempt to impose inadequate “solutions” could only further exacerbate the crisis. This was the situation on the cusp of the 1960s: a socialist system experiencing growing economic and political contradictions confronting a capitalist system facing a growing tide of resistance and rebellion, especially in the Third World; a Soviet Union determined to work with Western imperialism to keep international “hot spots” from exploding; a world communist movement dominated by a party incapable of addressing the crisis of Marxism sapping its vitality. Only one communist party had sufficient power and prestige to challenge this state of affairs — the Chinese. It broke the artificial consensus imposed on the world communist movement. It demanded a debate on a whole series of fundamental problems: the nature of war in the nuclear age; the policies of “peaceful coexistence” and “peaceful transition”; the significance of Third World revolutionary struggles; the problem of modern revisionism. Around the world, Marxist revolutionaries took up this challenge, began their own debates, and the resulting liberation and revitalization of Marxist theory has continued down to our own day. Reducing the breach in international communism inaugurated by the Sino-Soviet split to “a disaster,” as Elbaum does, misses this critical historical dimension. No less than the birth of the first communist parties out of the crisis of Social Democracy, the Chinese challenge to Soviet monolithism was an urgent historical necessity. Was the NCM Founded on False Premises? • The CPSU and its allied parties (including the CPUSA) had abandoned Marxism-Leninism for revisionism. • As a result of this betrayal, they had relinquished their role as vanguard for the working class and oppressed peoples, abandoned their commitment to the revolutionary destruction of capitalism, failed to adequately support liberation struggles against imperialism, and were failing to recognize, let alone address, fundamental problems in the world communist movement. • Revisionism and opportunism in theory and practice needed to be repudiated and new parties created to return the communist movement to its revolutionary path. But when it’s a matter of the Soviet Union and the CPUSA, his language is noticeably different. Instead of saying the Soviet Union wasn’t a socialist model to be emulated, he says, “Most young radicals rejected Soviet society as a desirable socialist model” as if this was a matter of opinion rather than fact. 34 He refers to the Soviets’ seemingly half-hearted support of national liberation movements, as if there was some doubt about the issue. 35 He even feels the need to present a defense of the Soviet Union’s détente policy against NCM criticism, chiding the NCM for its “one-sided” view of the policy and for failing to “appreciate” the dilemmas facing the Soviet leadership as targets of the US nuclear arsenal. 36 Taken together, all these formulations minimize the anti-revisionist, anti-opportunist premises upon which the NCM was founded and suggest that they were shaky at best, if not fully mistaken. In actual fact, we now know that the CPUSA’s problems during this period were much more serious and fundamental. Far from being off-base, the NCM’s assessment of the Party was, if anything, insufficiently critical. Is There a Marxist Tradition to be Defended? Formulating the problem in this way, it’s hard to disagree with Elbaum. But what if there is another way to understand what’s at issue here? Such an alternative can be found in Charles Bettelheim’s multi-volume Class Struggles in the USSR. 46 These books examine how the Bolsheviks, having seized state power in November 1917, fought to continue the revolution and construct a socialist society. Essential to his analysis is the way Bettelheim theorizes the worldview guiding them, what he calls the Bolshevik ideological formation. Bettelheim argues that this ideological formation was a contradictory reality “within which a constant struggle went on between revolutionary Marxist thinking, Marxism as constituted historically, and various ideological currents which were alien to Marxism." 47 This formulation emphasizes the distinction between revolutionary Marxism, or Marxist scientific thought, and various forms of historically constituted Marxism — the Marxism of the Second International at the end of the nineteenth century, the Marxism of the Third International under Lenin, the Marxism of the Chinese Cultural Revolution, etc. — on the other. Bettelheim’s alternative formulation on the question of the Marxist tradition enables us to do a number of things. It helps us disentangle what Elbaum has conflated. It allows us to agree with him that there isn’t “one and only one revolutionary tradition” with an “unbroken revolutionary pedigree from 1848 to the present.” Instead, it affirms that our movement has had a complex, hybrid, and discontinuous history since 1848, that there’s been a multiplicity of historically constituted Marxisms, each with its own respective strengths and weaknesses. Holding fast to the notion of a single revolutionary tradition pretty much limited the NCM’s horizons to the “big five” [Marx-Engels-Lenin-Stalin-Mao], the Paris Commune, and the Russian and Chinese revolutions. As Elbaum suggests, we no longer need to don that ideological straightjacket. Now we’re free to examine our movement’s entire history with a critical eye. And we’re also now free to study and learn from a host of long suppressed or marginalized Marxists, such as José Carlos Mariátegui, Mary Inman, August Thalheimer, and M. N. Roy. But Bettelheim’s alternative formulation also enables us to maintain that there’s another tradition, separate and discrete — what Bettelheim calls revolutionary Marxism or Marxist scientific thought. This is the tradition of the knowledge-producing theoretical system and its “accumulated wisdom,” of which Marx “only laid the cornerstones” to use Lenin’s phrase. It’s what Engels was talking about when he said, “Marx’s whole way of thinking is not so much a doctrine as a method. It provides, not so much ready-made dogmas, as aids to further investigation and the method for such investigation." 50 Given the ideological eclecticism of much of the growing new American left, now more than ever it is necessary to stress the critical importance of this tradition and the political necessity of defending it from the numerous ideological currents hostile to it. Speaking of defending revolutionary Marxism, it’s a sad irony that the NCM, which sharply criticized the CPSU and CPUSA for their theoretical deviations, ultimately did such a poor job of integrating Marxist theory into its own ideological formation. NCM militants may have memorized Lenin’s statement: “without revolutionary theory there can be no revolutionary movement,” but Lenin himself would certainly have been chagrined by how poorly they understood him. Elbaum does a good job of describing the NCM’s theoretical poverty. He cites its “never-ending quest for orthodoxy and a constant suspicion of heresy at the very center of the movement’s outlook." 51 This resulted, he argues, in a dominant mindset that “suggested that all truly important theoretical questions had already been resolved"; one that “betrayed a certain fear that too much exploration of new theoretical terrain would lead inexorably toward a revisionist betrayal of revolutionary principle." 52 The NCM’s theoretical paucity is manifest in the ways that most groups studied theory and the ways they applied it. • Lack of theoretical training meant that the movement was, in Elbaum’s words, “unable to accurately assess the conditions it faced — either initially or after a few years of inevitable mistakes and misjudgments." 57 As Asad Haider recently put it, “a certain dogmatic catastrophism… prevented communists from formulating a strategy suited to their period." 58 Over and over again cadre were promised a new capitalist crisis (“the ‘80s economic crisis will make the ‘30s great depression look like a picnic”) or a new revolutionary upsurge, neither of which materialized. The NCM generated numerous theoretical journals and related documents. Yet, for all the ink that was spilt, little of lasting theoretical value was produced. The movement’s forte was polemics, agitation and propaganda, and pedagogical defenses of orthodoxy. Another inhibiting factor is the reality that theoretical work, particularly of the Marxist kind, is enormously difficult. As Karl Marx remarked, “there is no royal road to science, and only those who do not dread the fatiguing climb of its step paths have the chance of gaining its luminous summits." 62 Genuine Marxist theoretical work is a specific form of practice — theoretical practice. It involves the transformation of raw materials (basic data, primary and secondary source materials, etc.) into a final product (knowledge) through the setting into motion of theoretical means of production (methodology, a conceptual system). It’s how Marx produced Capital, how Lenin produced Imperialism, the Highest Stage of Capitalism. It’s how Gramsci worked, under enormously difficult conditions of confinement, to produce his Prison Notebooks. Only the “cornerstones,” the “guiding principles,” of Marxist theory have been laid. Their continuing development, correction and refinement are an absolute necessity. Revolutionary theory is not produced as an end in itself (“theory for theory’s sake.”) It is produced to provide usable knowledge to guide the struggle for socialism. It is necessary not just to develop Marxist theory in general, but to develop its particular applications in accordance with every concrete instance or issue. How at variance with these tenets was the “practice” of theory in the NCM! In most cases it began with an “answer,” a “conclusion,” or “solution” provided in advance by orthodoxy or an organization’s own political line or program. This could be anything from “the restoration of capitalism in the USSR” to the “impermissibility of factions in a Leninist Party” to the “Afro-American nation in the Black Belt south” to “the PRRWO has degenerated into a Neo-Trotskyite Sect.” Taking this pre-given outcome as the starting point, an entire ideological framework was then constructed around it to “prove,” “defend,” or “legitimate” it. The classics of Marxism-Leninism were scoured to find apt quotes that might apply; facts were cherry-picked to confirm the points to be made. Anything that might call the outcome into question was duly ignored. In the end, a case had been made, a conclusion had been “proven” — but theoretical practice this is not. When the NCM was born, there were a number of grizzled veterans of prior anti-revisionist formations around to offer advice and support to the newly emerging groups. Some of what these veterans had to offer was of real value; some was not. There were young people willing to listen to what the veterans had to say and others who saw them as little more than relics of a failed past with simplistic answers to questions no one was asking anymore. We have left behind the world that saw the initial publication of Revolution in the Air. A new upsurge of leftism is occurring in this country and Max Elbaum is among the grizzled veterans standing by with advice and support as this left attempts to find its way forward. The reissue of his book is an important contribution to that effort. This review began with a quote from Guy Debord on the permanence of revolution in human history. Revolution was in the air when the new communist movement was born. Sooner or later, revolution will return. Many in the NCM considered themselves too busy making history to spend much time studying history’s lessons. As a result, mistakes were made, wrong directions taken, that otherwise might have been avoided. Revolution in the Air and the analyses of other NCM veterans reflect on the passage of a few people through a rather brief moment in time. The next left will have to chart its own course, make its own choices. And all the history-studying in the world won’t stop it from making its own mistakes. But if lessons drawn from the experience of the NCM can make the next left’s way forward a little easier, then in some small measure the movement’s legacy will continue to share a place in the river of revolution’s flow. 1. Guy Debord in his book Panegyric, quoted in Greil Marcus, The Dustbin of History (Cambridge: Harvard University Press, 1995), 78. 2. Max Elbaum, Revolution in the Air: ‘60s Radicals Turn to Lenin, Mao, and Che (New York: Verso, 2002), 326. 3. Ibid., 326, 328, 33-34. 5. In 1977 the CPC appeared to recognize the CPML as its favored “sister party” in the US. See “Unity between Chinese and U.S. Communists: CP(M-L) Delegation Meets with Chairman Hua,” The Call, Vol. 6, No. 30, August 1, 1977. 6. Elbaum, Revolution in the Air, 272. 8. For documents relating to the National Liaison Committee, including from the various parties involved (like the RU and the IWK), see the collection available at the Encyclopedia of Anti-Revisionism Online (EROL). 9. For a discussion of the line struggle in this party building initiative (the National Liaison Committee) see the Black Workers Congress, “Criticism of ‘National Bulletin #13’ and the Right Line of the RU,” in Red Papers 6. 10. On the Bund see Henry J. Tobias, The Jewish Bund in Russia from its Origins to 1905 (Stanford: Stanford University Press, 1972); Prophecy and Politics. Socialism, Nationalism, & the Russian Jews, 1962-1917 (Cambridge: Cambridge University Press, 1981); Enzo Traverso, The Marxists and the Jewish Question, trans. Bernard Gibbons (Atlantic Highlands: Humanities Press, 1994). 11. “Asians fight loss of minority status for small business loans,” Unity, Vol. 2, No. 13 (June 29-July 12, 1979). 12. “The National Question,” Marxist-Leninist Study Series,” Unity, Vol. 4, No. 5 (March 20-April 2, 1981). 13. August 29th Movement, Fan the Flames. A Revolutionary Position on the Chicano National Question, 1976 ; League of Revolutionary Struggle, “The Struggle for Chicano Liberation,” Forward #2 (August 1979). 14. Asad Haider, Mistaken Identity. Race and Class in the Age of Trump (London: Verso, 2018), 79. 16. A strong account of the historical forces bound up in Jackson’s 1984 campaign, the viability of the “Rainbow Program,” and the possibilities of independent socialist action going forward, remains Manning Marable, “Jackson and the Rise of the Rainbow Coalition,” New Left Review I/149 (January-February 1985): 3-44. 17. There were certainly attempts to grasp the larger strategic significance of the Rainbow Coalition from within, and the impact of communists and socialist activists might have: see for instance, the interview with Jack O’Dell – one of Jackson’s more radical advisers – in the LRS newspaper, Frontline: “Reflections on the Rainbow,” Frontline, October 15, 1984. 18. Elbaum, Revolution in the Air, 2. 23. See Albert S. Lindemann, The “Red Years”: European Socialism vs. Bolshevism, 1919-1921 (Berkeley: University of California Press, 1974); and International Communism in the Era of Lenin: A Documentary History, ed. Helmut Gruber (New York: Fawcett Publications, 1967). 24. Louis Althusser, “The Crisis of Marxism,” in Power and Opposition in Post-Revolutionary Societies, trans. Patrick Camiller and Jon Rothschild (London: Ink Links, 1979), 230. 25. Quoted in K. S. Karol, China, The Other Communism, trans. Tom Baistow (New York: Hill and Wang, 1967), 420. 26. See, for example, Central Committee, Communist Party of China, A Proposal Concerning the General Line of the International Communist Movement, 1963. 27. These remarks refer to China’s positions on the international communist movement. Maoism did make important contributions to Marxist theory on the class struggle and inequality under socialism. See Richard Curt Kraus, Class Struggle in Chinese Socialism (New York: Columbia University Press, 1981). 28. Louis Althusser, For Marx, trans. Ben Brewster, (New York: Pantheon Books, 1969), 30. 29. Elbaum, Revolution in the Air, 48. 41. John Barron, Operation Solo: The FBI’s Man in the Kremlin (Washington DC: Regnery, 1996). 42. For a detailed discussion of what the CPUSA was like in this period see Gary Murrell, “The Most Dangerous Communist in the United States” A Biography of Herbert Aptheker (Amherst: University of Massachusetts Press, 2015). 43. Alice Jerome and Mort Sheer, “New Program of the Communist Party U.S.A .(A Draft): ‘Pretty Pictures of Singing Tomorrows,’” Progressive Labor, Vol. 5, No. 4 (June-July 1966). 44. Elbaum, Revolution in the Air, 274. 45. Elbaum, Revolution in the Air, 323-324. 46. Charles Bettelheim, Class Struggles in the USSR, First Period: 1917-1923, trans. Brian Pearce (New York: Monthly Review Press, 1976), Second Period:1923-1930, trans. Brian Pearce (New York: Monthly Review Press, 1978). 47. Bettelheim, Class Struggles in the USSR. Second Period, 501. 50. Quoted in Tristram Hunt, Marx’s General. The Revolutionary Live of Friedrich Engels (New York: Metropolitan Books, 2009) 364. 51. Elbaum, Revolution in the Air, 323. 53. Dan Burstein, “Political Report (Working Draft),” 1980. 57. Elbaum, revolution in the Air, 320. 58. Haider, Mistaken Identity, 79. 62. Quoted in Louis Althusser, Etienne Balibar, Reading Capital, trans. Ben Brewster (New York: Pantheon, 1970), 9. 63. Adapted from the article Louis Althusser, “The Importance of Theory,” in Theoretical Review #20, (January-February 1981). A slightly modified translation of this text was later published as “Theory, Theoretical Practice, and Theoretical Formation: Ideology and Ideological Struggle,” trans. James H. Kavanagh, in the collection The Spontaneous Philosophy of the Scientists and Other Essays, ed. Gregory Elliott (New York: Verso, 1990), 1-42. Paul Saba is a long-time communist activist living in Tucson, Arizona who edited the Theoretical Review journal (1977-1983) under the name Paul Costello. He is the founder and editor of the Encyclopedia of Anti-Revisionism Online.